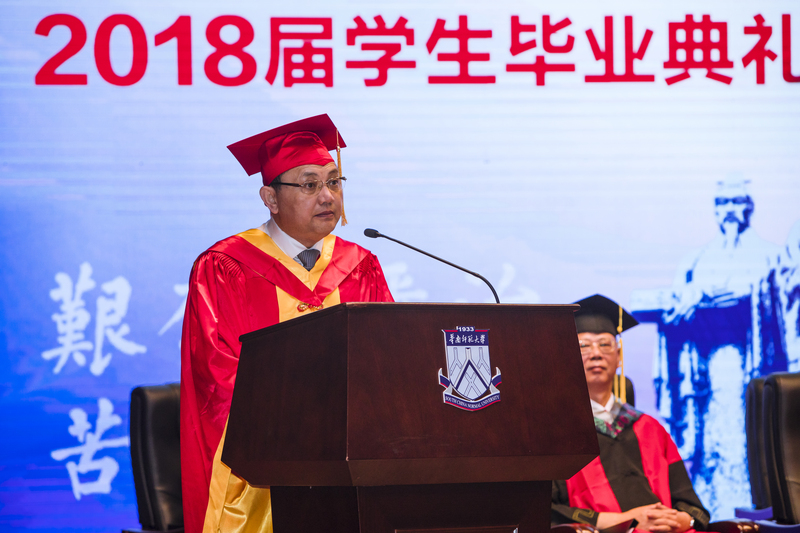 “Happy Graduation”, “Congratulations”, “Best wishes to you”!” At hearing these warm greetings from president Wang Enke, the graduates of the Class of 2018 cannot help feeling excited. 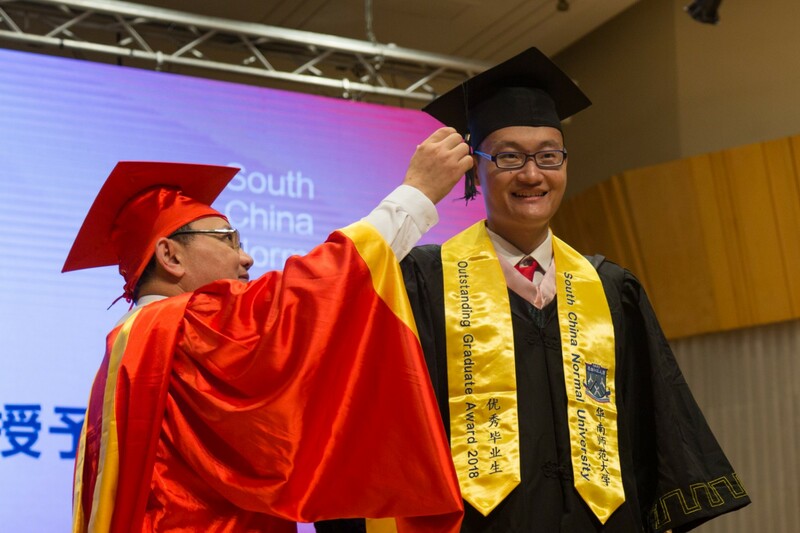 On June 21-25, the 2018 graduation and degree awarding ceremony was held at respectively the Shipai campus, HEMC campus and Nanhai campus of South China Normal University (SCNU). 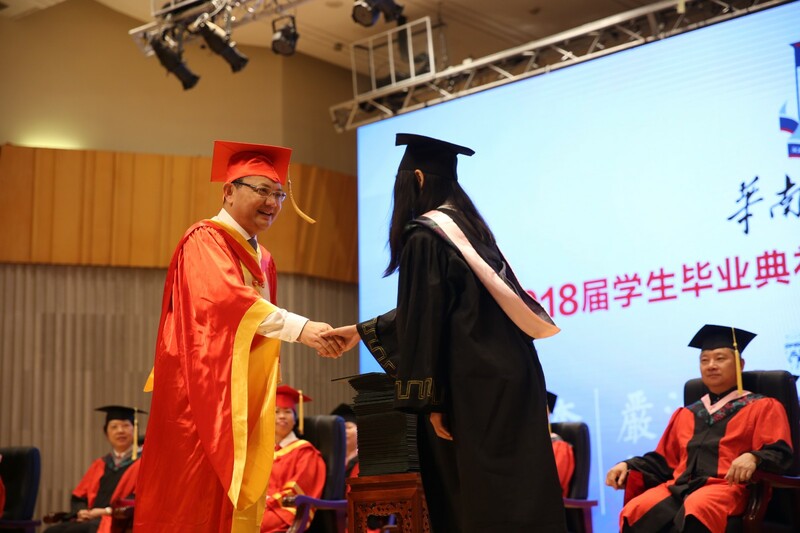 Chairman of degree assessment committee and president of SCNU, Professor Wang Enke attended the ceremony and turned the tassel for every degree candidate while awarding them with degree certificates. 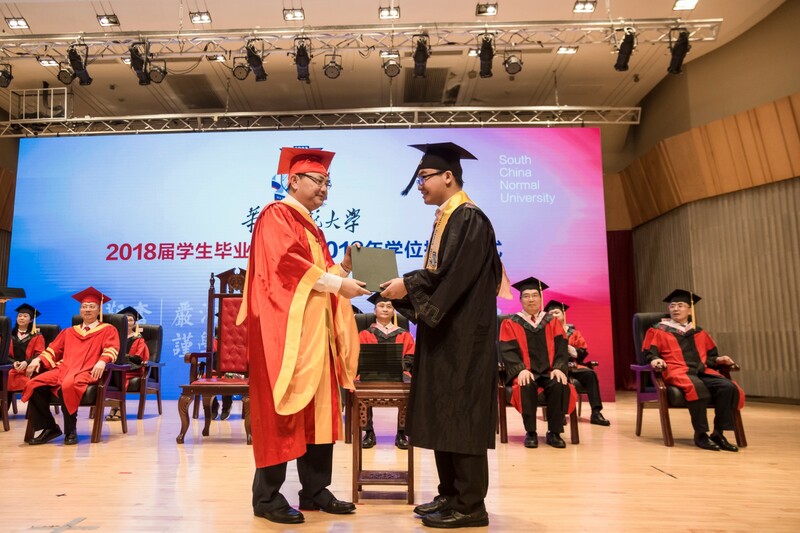 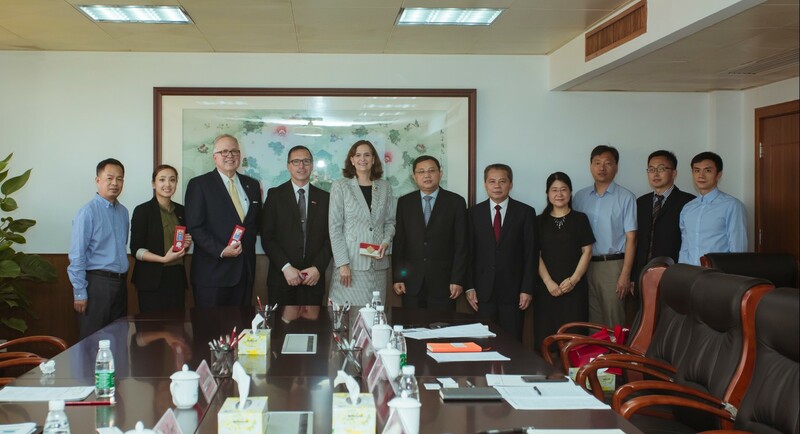 Vice presidents of SCNU Hu Qintai, Zhu Hong, Xiao Hua, and Ma Weihua, and vice chairmen of the academic committee Gu Fenglong and Lu Xiaozhong presided over the ceremony. 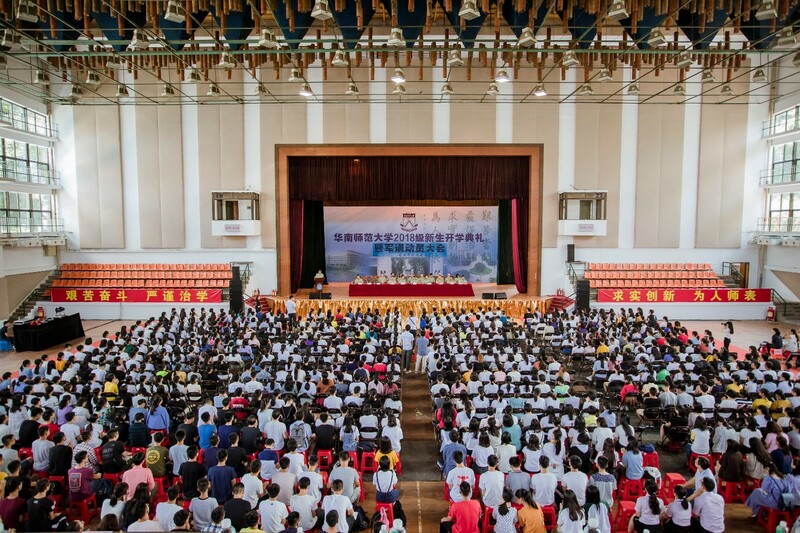 General secretaries from all the schools, teachers, students, relatives and friends, witnessed this exciting moment together. 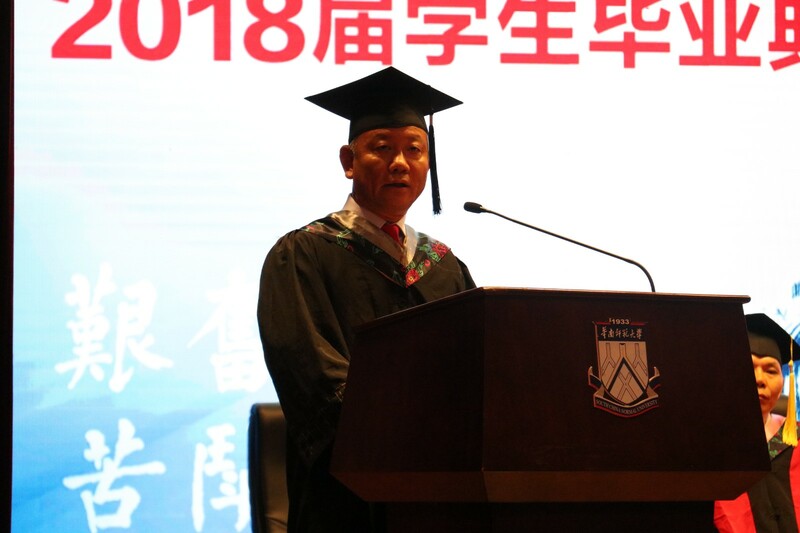 On behalf of SCNU, Wang Enke warmly congratulated the graduates on the successful completion of their studies and embarking on a new journey in life. 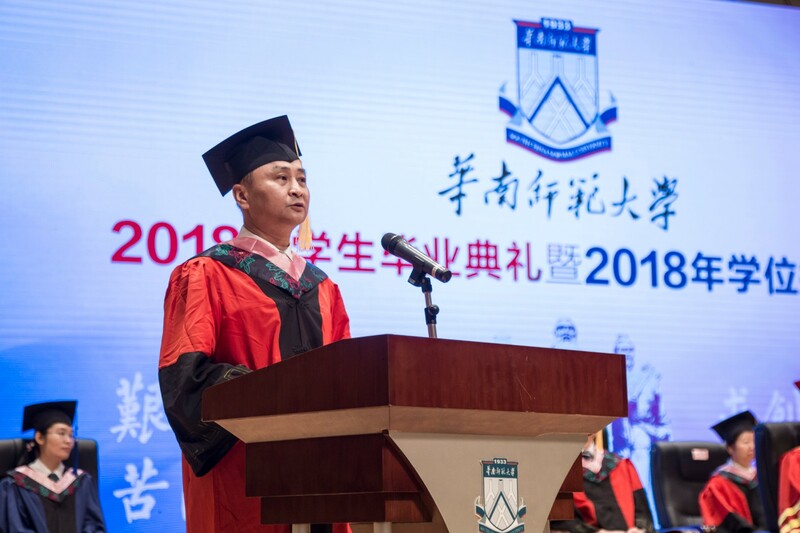 He expressed several wishes for the graduates: firstly, he encouraged the graduates to become the youth of our time with ambitious goals, and integrate their dreams into the development of our country. 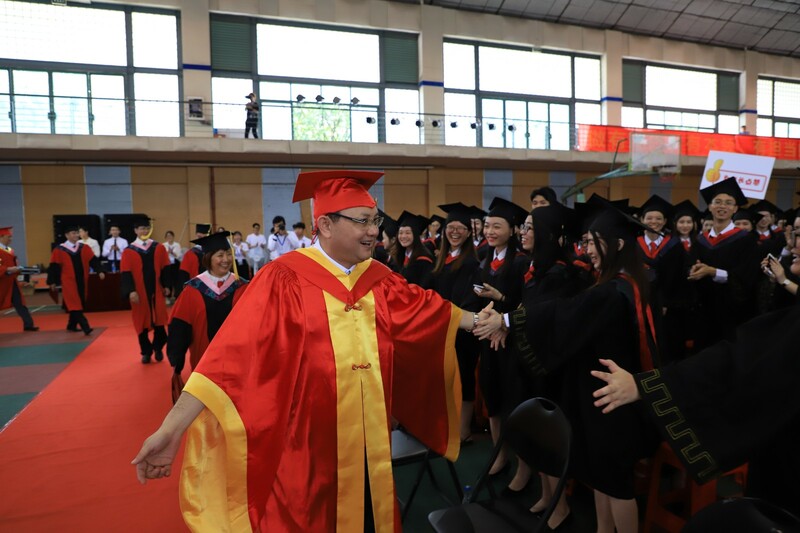 Secondly, he called upon the graduates to contribute their, wisdom gathered at SCNU, to the development and advancement of society. 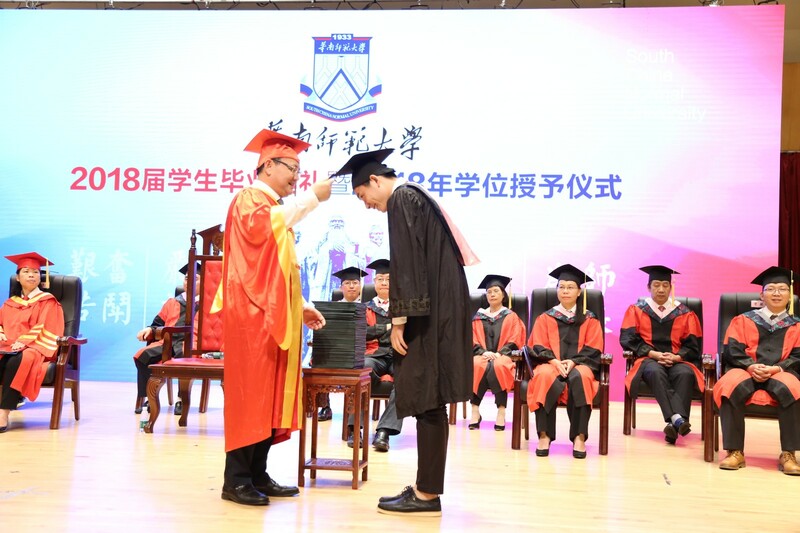 Furthermore, he hoped the students to adhere to the school motto of being a model of virtue for others by influencing everyone around them with their own morality. 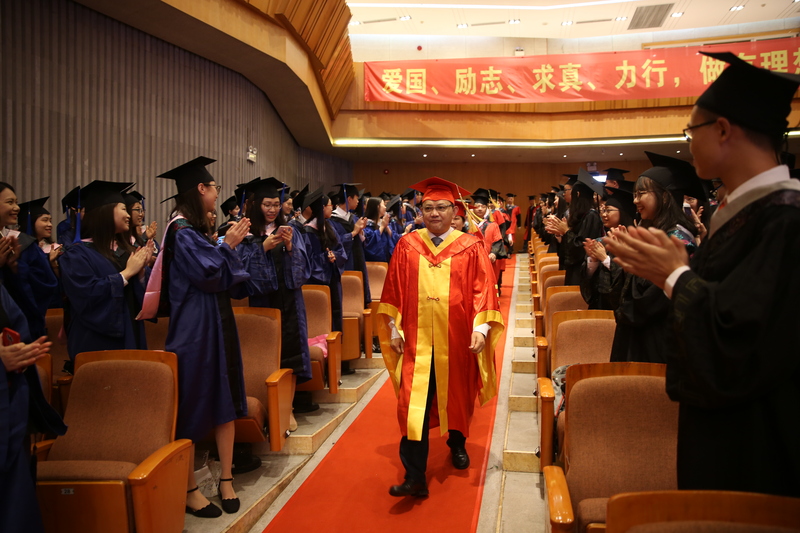 At the graduation ceremony, alumni representing various industries were invited to attend. 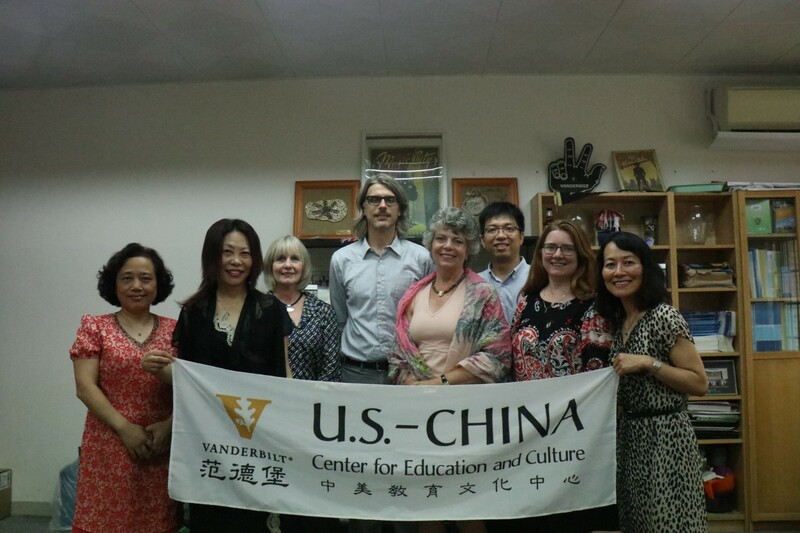 Among them, some front-line teachers, entrepreneurial pioneers, corporate executives, media professionals, etc.. 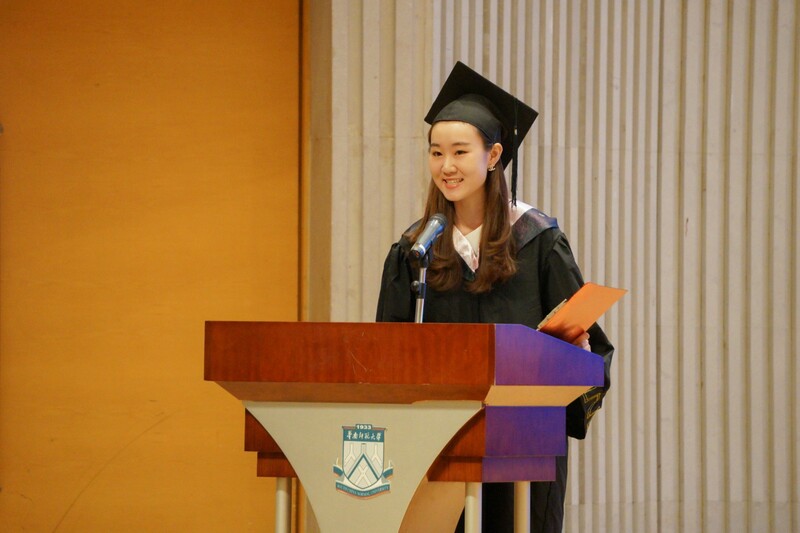 They shared their stories with the graduates and expressed their gratitude to the alma mater. 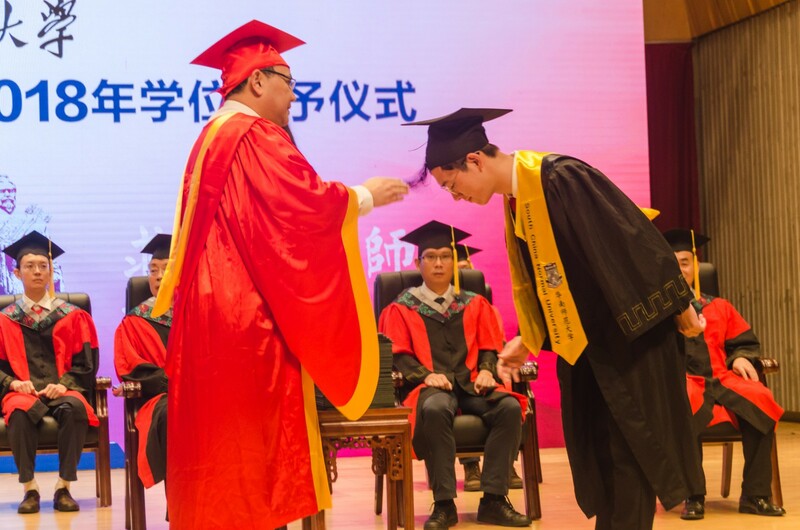 Wang Enke turned the tassel for every degree candidate and granted them with degree certificates. 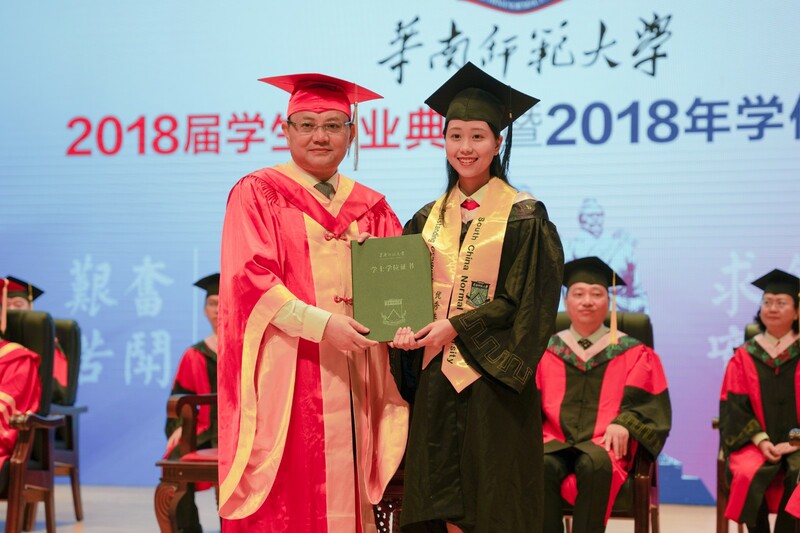 In 5 days of ceremony, a total of 9,000 graduates were awarded. 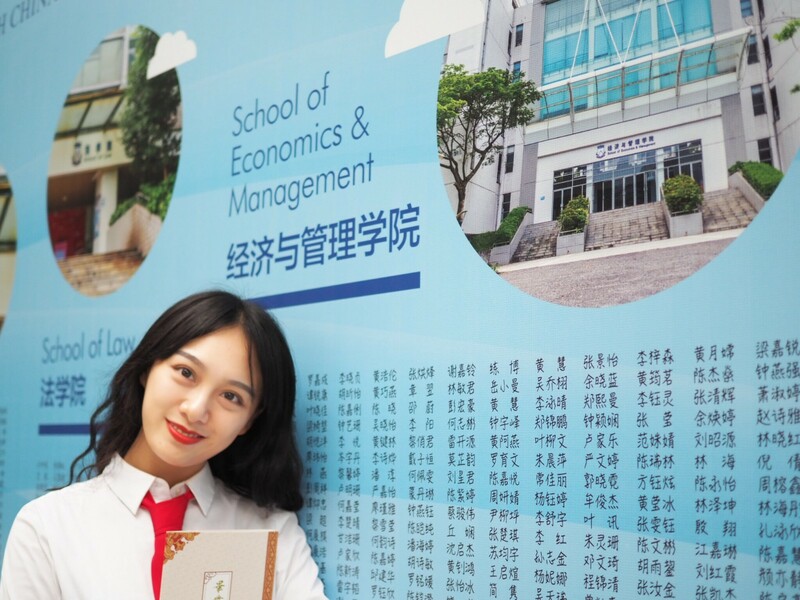 “I am so happy that the president still remembers my name! 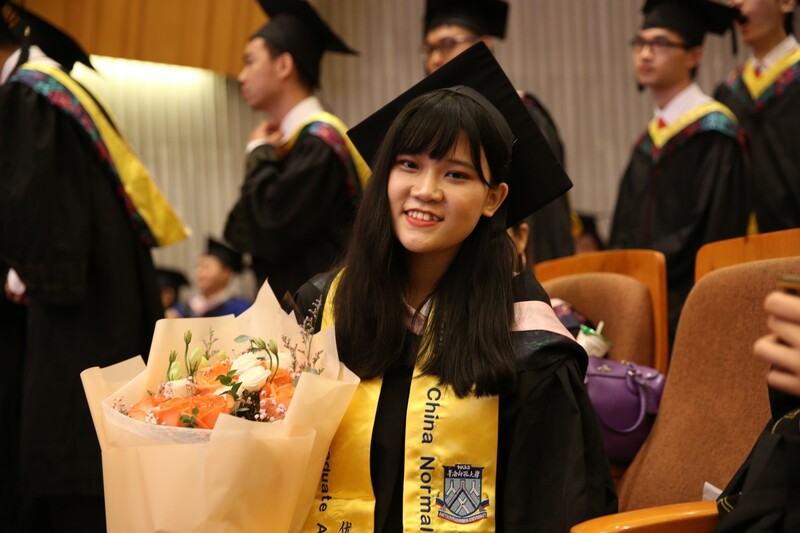 I feel like all my hard work has been paid off when I attended the ceremony.” Student Huang Haiyan from the School of Geography happily shared her feelings with us. 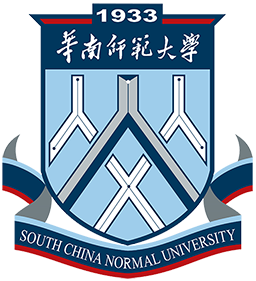 “I am so proud to be a graduate of SCNU. 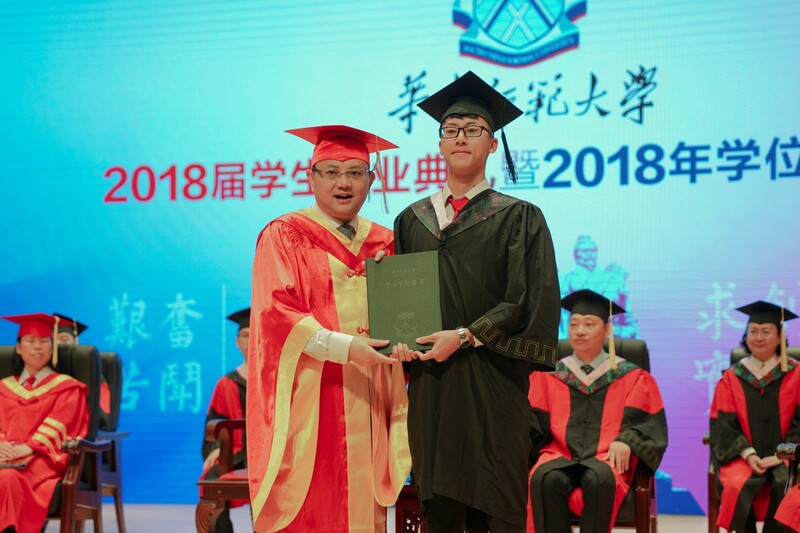 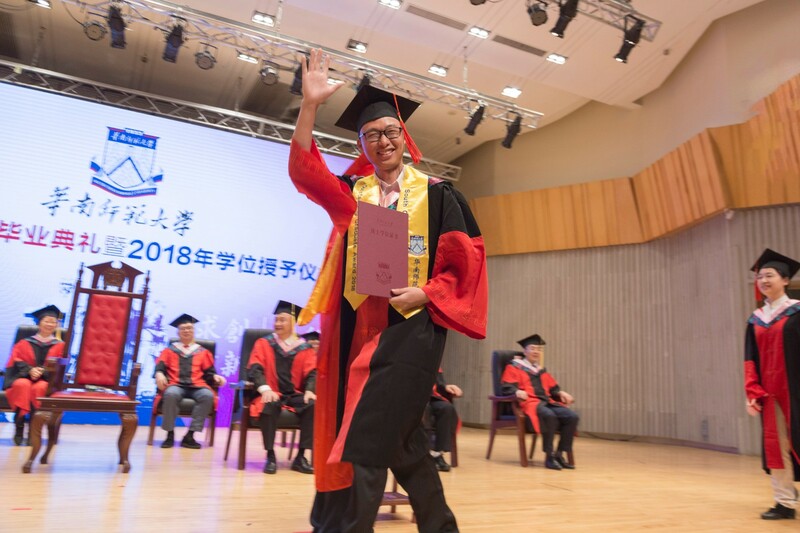 I really appreciate the school for organizing such a memorable ceremony for us!” said another graduate Li Yunxu from the School of Politics & Administration. 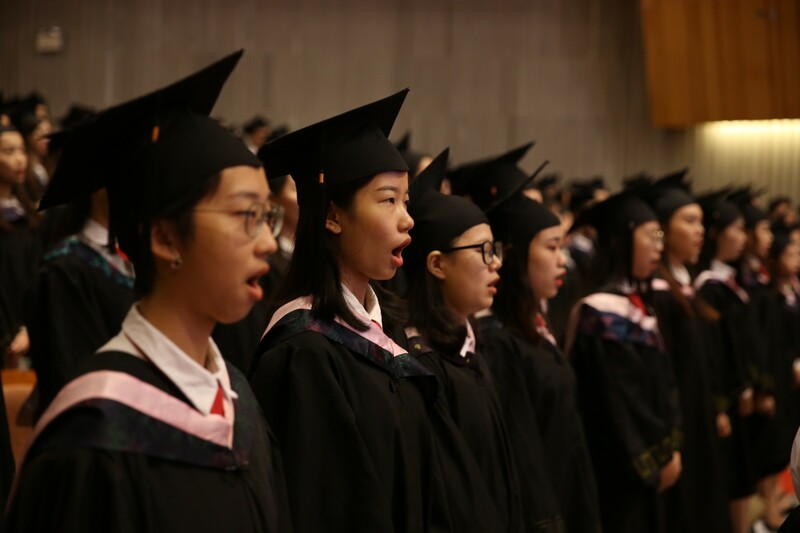 The 2018 graduation and degree awarding ceremony came to a successful end with the singing of the school anthem. 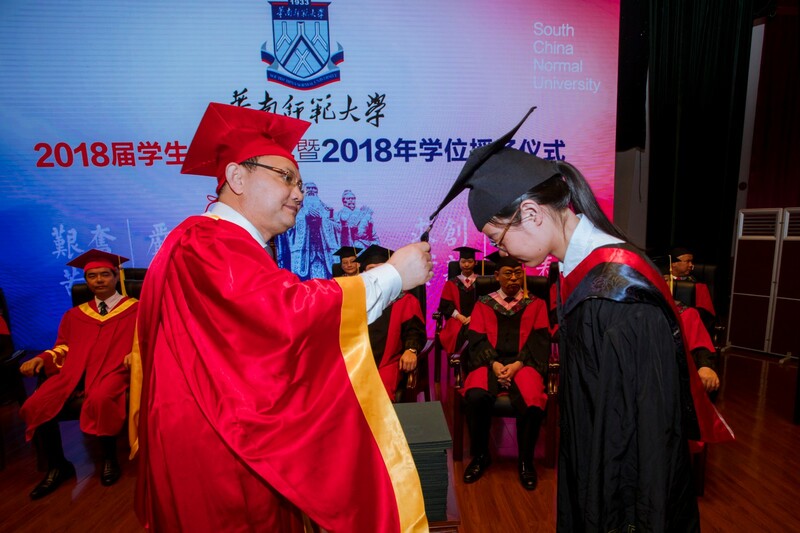 In order to create a strong graduation atmosphere, SCNU has for the first time produced a graduate directory wall with the names of every graduate, and image walls for hundred outstanding undergraduate and graduate students respectively, as well as electronic photo albums for all graduates. 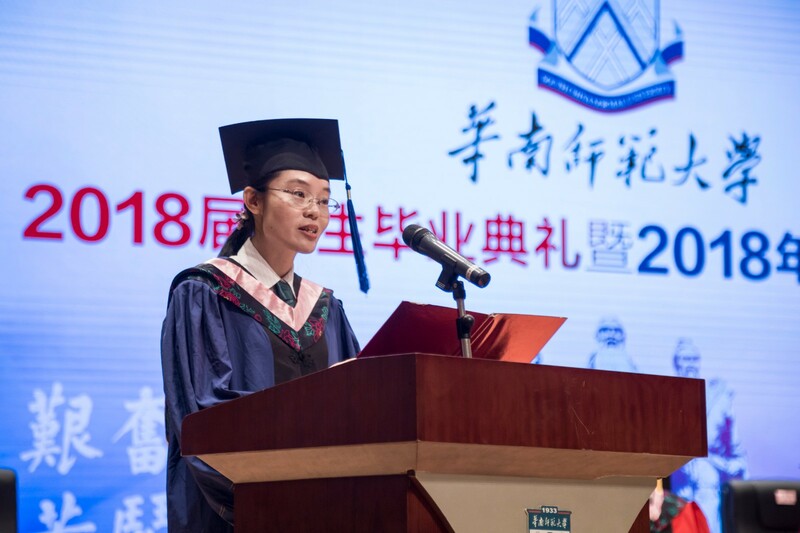 Besides, videos of poetry reading by graduate representatives were recorded and sent out with best wishes. 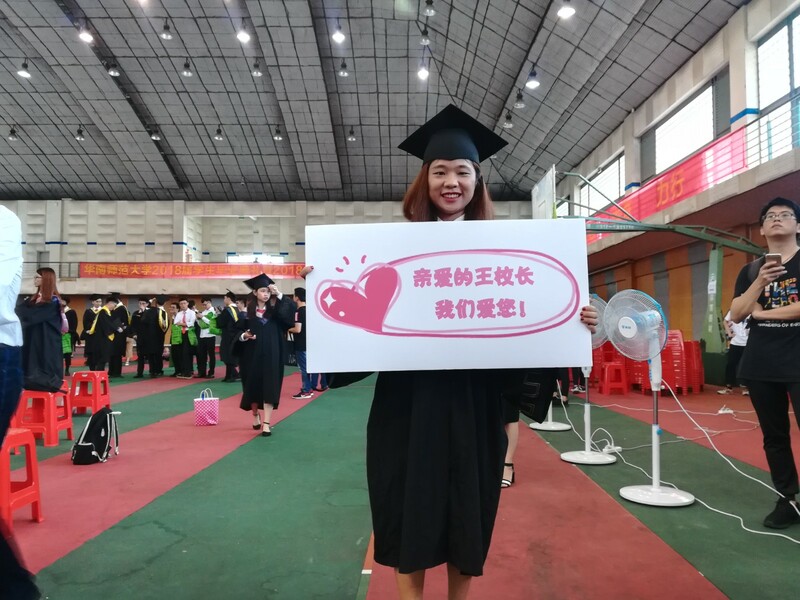 As is written on the wall, every graduate is a child of the school. 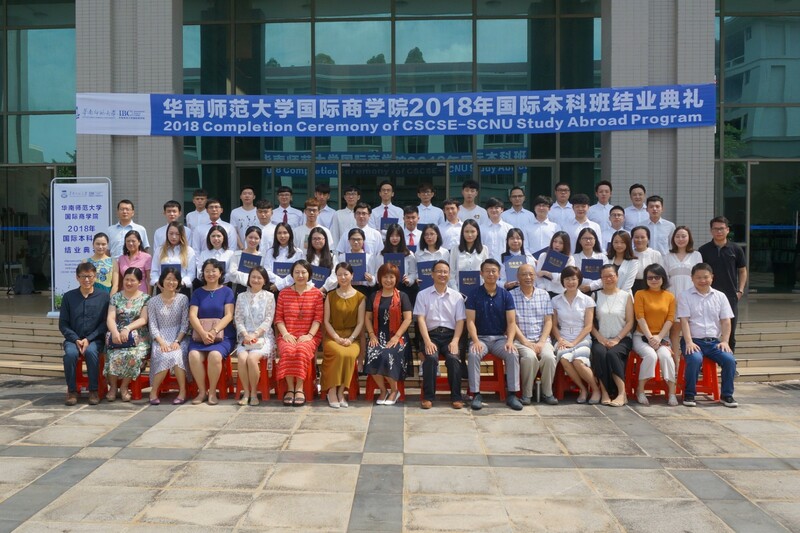 Wishing every graduate of the Class of 2018 always to remain a young soul.